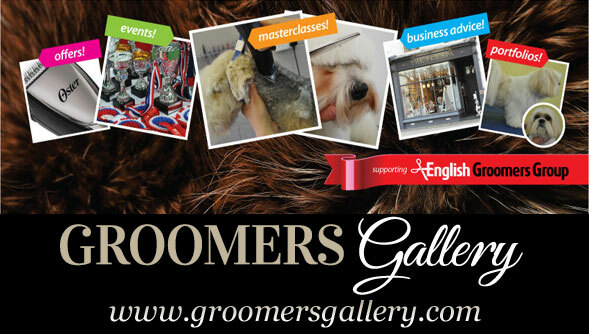 The English Groomers Group is a national group for pet groomers in the UK. Their supporters are individuals who take pride in their profession and care greatly about what they do. They continue to strive to learn and improve and take very seriously the reputation of their chosen profession. The group was formed by a group of friends who would regularly meet to share grooming ideas and help one another. It occured to them that others would benefit greatly from being able to meet, discuss, share and learn from one another too ... and so the English Groomers Group was born and has grown from strength to strength with their membership list growing daily and their events growing larger and ever more popular. Everything they do is geared specifically to pet groomers with their needs and wants in mind. Supporters are encouraged to put forward their ideas for meetings and events so that everyone is catered for as much as possible and so that everyone benefits. NEWS UPDATE!!! CLICK HERE FOR THE DETAILS AND ENTRY FORM TO THE ENGLISH GROOMERS CHALLENGE 2018!